I think the light leaks happened when I took the film out of the camera. It’s preferable to thinking they happened in the camera, anyway, and I’m still waiting for the next roll I took with that camera to get developed. I very much like this otherwise. 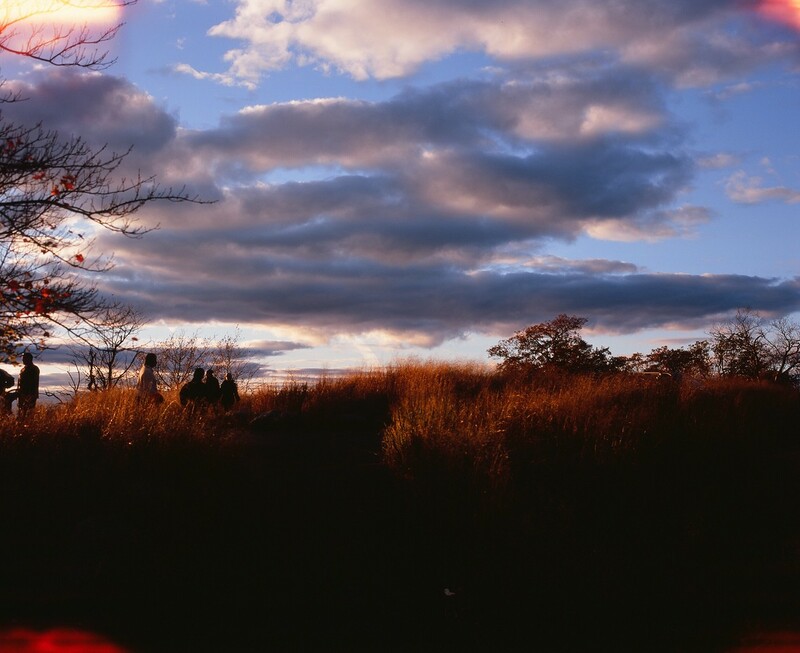 It’s Fuji Velvia 100 slide film, 120 Medium Format 6×7 mode. This is the summit of Bear Mountain, but I like the way it almost looks like a wheat field. Have a Happy and Blessed Thanksgiving, and a Happy Hanukkah as well!